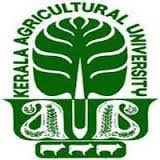 KAU Recruitment 2017 – 11 Farm Assistant Posts :- Kerala Agricultural University (KAU) has published latest notification for filling up 11 posts of Farm Assistant on temporary basis. Desirous & eligible candidates can apply in prescribed format on or before 05/04/2017. Age Limit: Age limit will be as per the existing Government Rules. Last Date of Application :05/04/2017. Application Procedure : Eligible candidates can send their application in prescribed format along with all relevant documents to Associate Director, Regional Agricultural Research Station, Kumarakom-686563 on or before 05/04/2017. Subscribe our free job alert mail for KAU Recruitment 2017.